The extraordinary beauty of the blue-eyed splashed white horses of Hindisvík in Iceland caught the eye of photographer Gígja Einarsdóttir whose passion is photographing horses. This colourpattern has existed in Iceland for centuries but the blue, or "glass" eyes were considered ugly in earlier times. 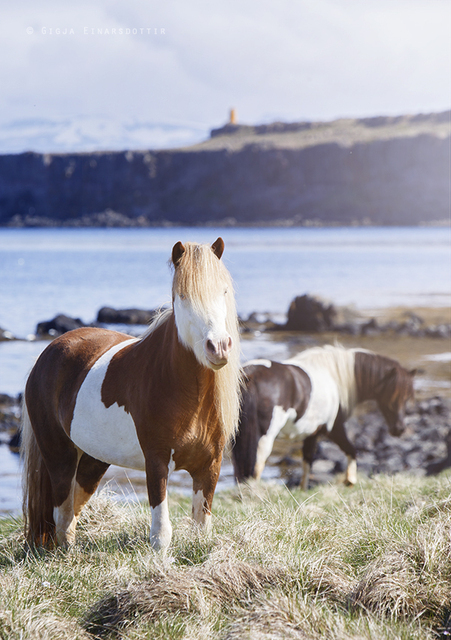 The Icelandic horse has developed from the horses brought by the Norse settlers in the ninth and tenth centuries and is the only breed of horse in Iceland due to strict import laws to prevent disease and to retain the purity of the breed. "We started breeding this colour when our daughter wanted a blue-eyed foal for her confirmation present. She always liked it since she was a little girl," explains German-born Hanný Norland Heiler who lives in Sæból, a farm in North Iceland with her husband. 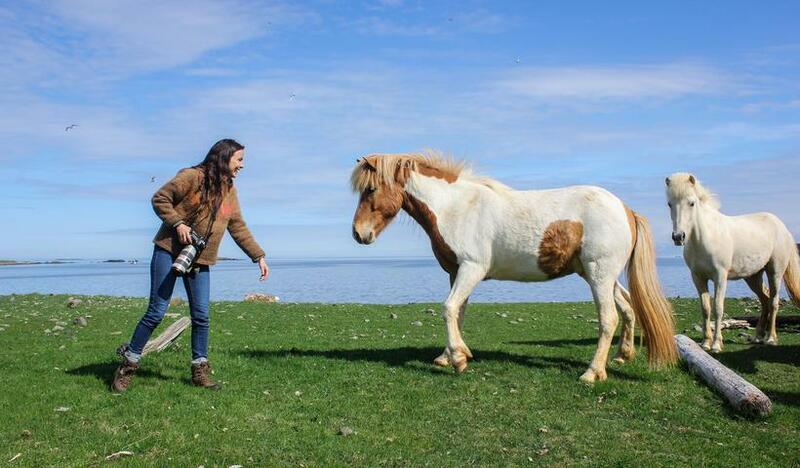 Along with their daughter, Heiða, they started the Hindisvík horse breeding in Vatnsnes in the far north. "We have a small breeding of splashed white horses and are focusing on good riding abilities along with the colour. The gene can be carried through generations of horses and never appear, so you have to mate a stallion and a mare that both have the trademark colouration." 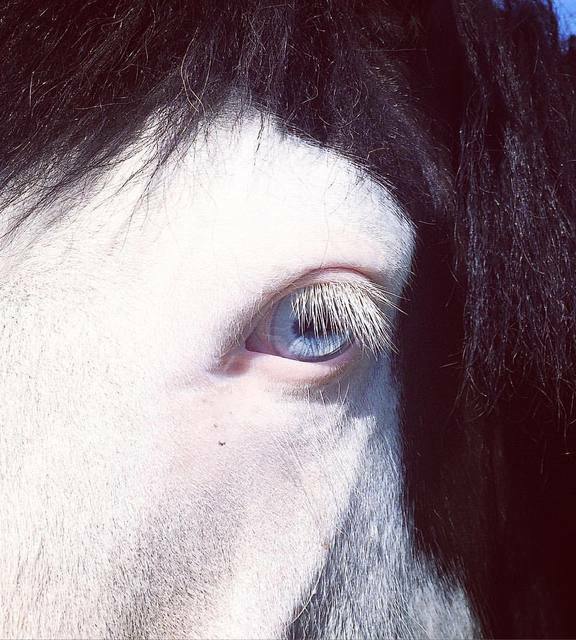 The splashed white colourpattern looks a little as if paint was dripped over the horses from above, and blue eyes are a hallmark of the pattern. 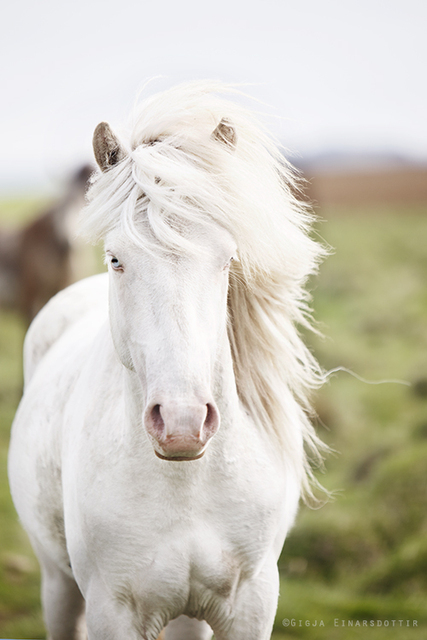 Splashed white occurs in a variety of geographically divergent breeds, from the Morgans in North America to Kathiawari horses in India. 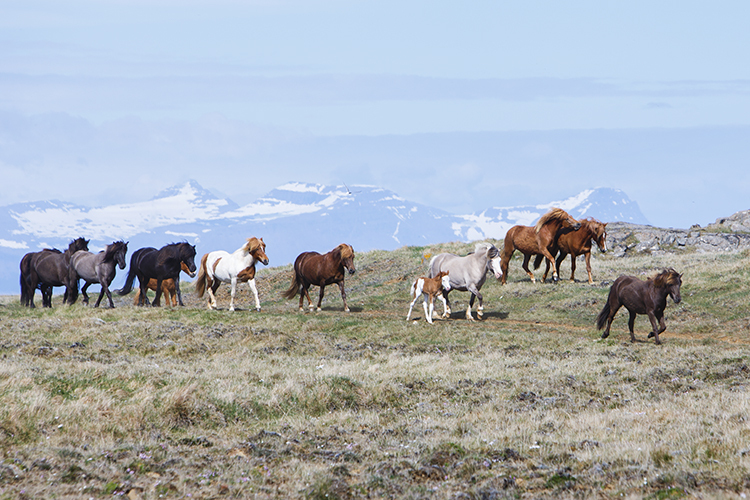 Foals from Hindisvík are in great demand, especially from international horse enthusiasts. "People used to consider the colour pretty ugly in earlier times. Even today, people of older generations call them ugly. They were known as glassy-eyed horses, and considered ghost-like." 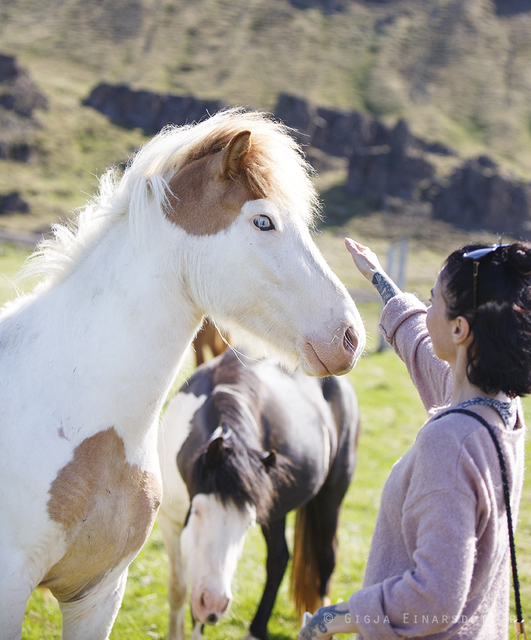 Photographer Gígja Einarsdóttir, who recently visited the horses at Vatnsnes with her sister, designer Harpa Einarsdóttir, says she's always been fascinated by rare colours in horses. "I like things that don't fit into a frame of normality. Some people find albino horses ugly, but I find them extraordinary. And these splashed-white horses with their blue eyes are magical. I've always noticed special characteristics and colours in the Icelandic horse. " 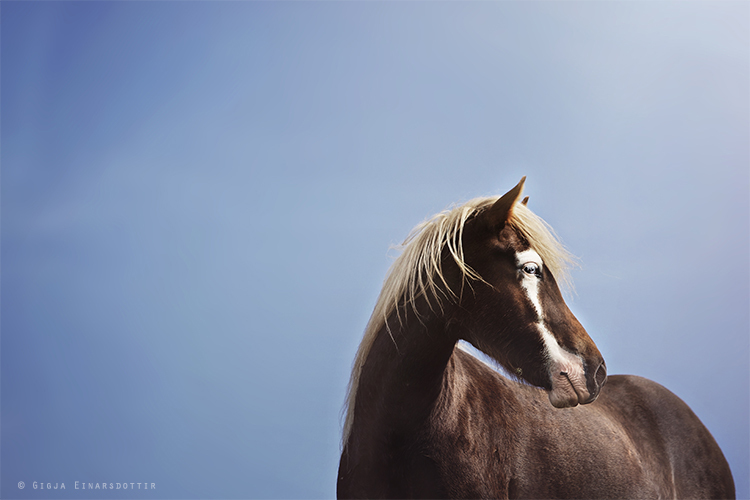 She adds that the Icelandic horse is one of the most colourful horse breeds in the world. "It's really important to keep the colours that exist within the breed alive, even the colours that some find abnormal." 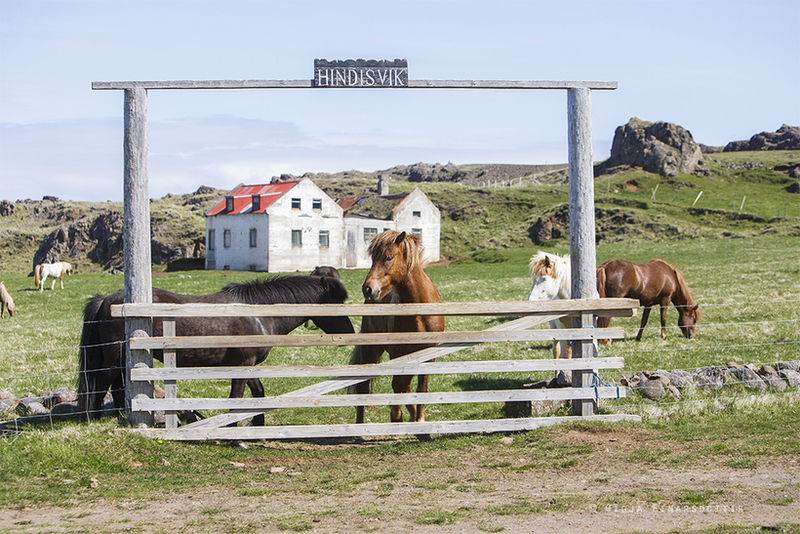 For more information on the Hindisvík breed visit their website HERE.